Jay Dardenne says he’d use his influence to help the Robertson family if it can’t reach an agreement with the A&E network. NEW ORLEANS — Louisiana’s lieutenant governor says the “Duck Dynasty” reality TV show is important to state tourism — and he could help connect the Robertson family with new producers if they cannot reach agreement with the A&E network. The network suspended patriarch Phil Robertson last week for telling GQ magazine that gays are sinners akin to adulterers and swindlers. “Regardless of one’s views on Phil Robertson’s statements, Duck Dynasty has been an important representation of the state of Louisiana, inspiring prospective visitors and investors since its debut,” Lt. Governor Jay Dardenne said in a statement emailed Saturday. The show is produced around the Robertson family’s home base in Ouachita Parish. KNOE-TV of Monroe reported in February that the show was bringing people from around the country who wouldn’t otherwise stop in northeast Louisiana. The Duck Commander warehouse has become a tourist attraction, said Alana Cooper, director of the Monroe-West Monroe Visitors and Convention Bureau. Dardenne, whose job includes running the Department of Culture, Recreation and Tourism, said the audience of tens of millions is eager to visit Louisiana. “If the Robertson family cannot come to an agreement with A&E and wants to continue the show, Louisiana already has the infrastructure in place to maintain their record-breaking program,” he wrote. The lieutenant governor did not immediately answer a request for comment Sunday. Dardenne, who authored the state’s film and TV tax credit program, said he would use his influence in the state’s industry to help the Robertsons. Gov. Bobby Jindal said Thursday that everyone is entitled to express their opinions. 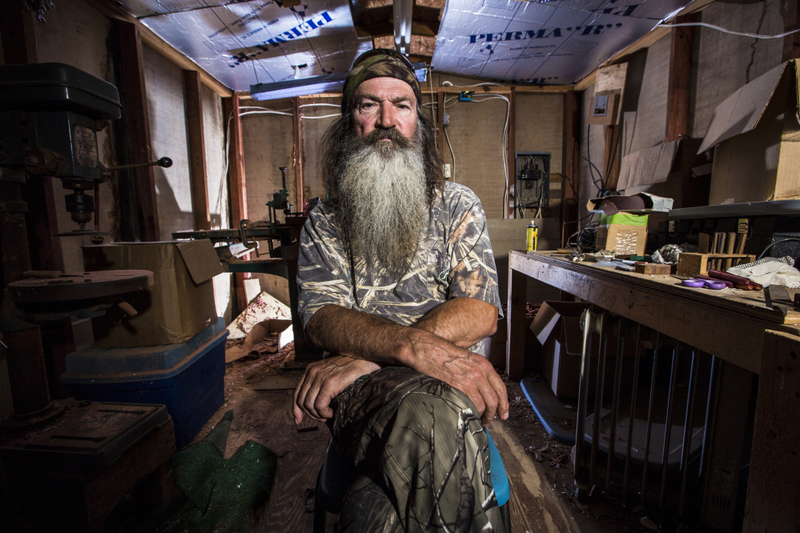 “Duck Dynasty” is on hiatus until Jan. 15. A network spokesman told the AP on Thursday that nine of next season’s 10 episodes have already been filmed. That means Robertson likely isn’t needed in front of the camera before next March.